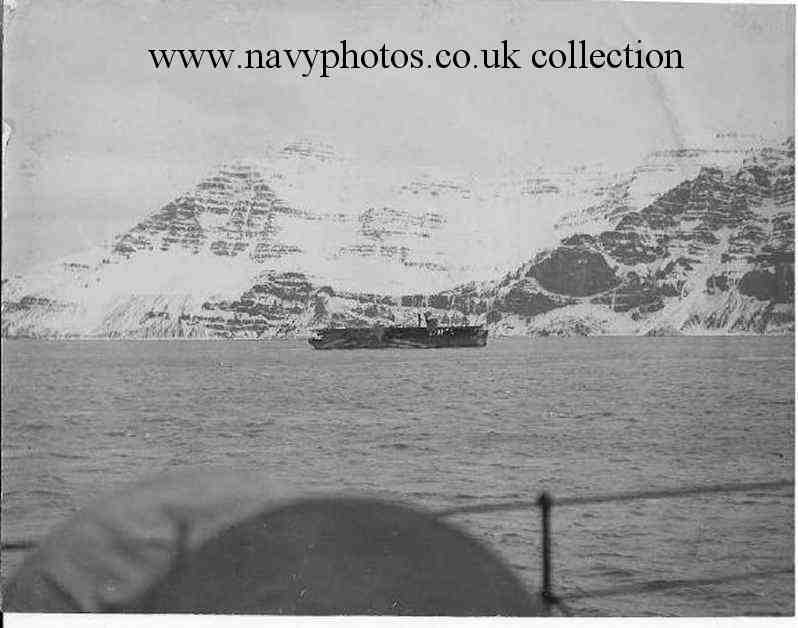 Photo taken from deck of HMS Belfast, quite possibly at "Hvalfjord Iceland", provided by "Alan" on behalf of Mr. S. Vallely. Thanks also to Mr. Tony Drury for info. I would also like to direct my visitors to a site concerning this ship. was kept "Top Secret" by our "Government for 30 years after the wars end. 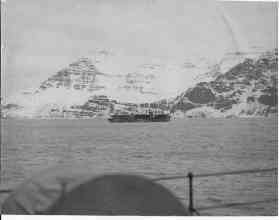 without any contact being made with any surviving crew or their families. To view his site "Click HERE"
Return to "Index 1". - Aircraft and Helicopter Carriers.